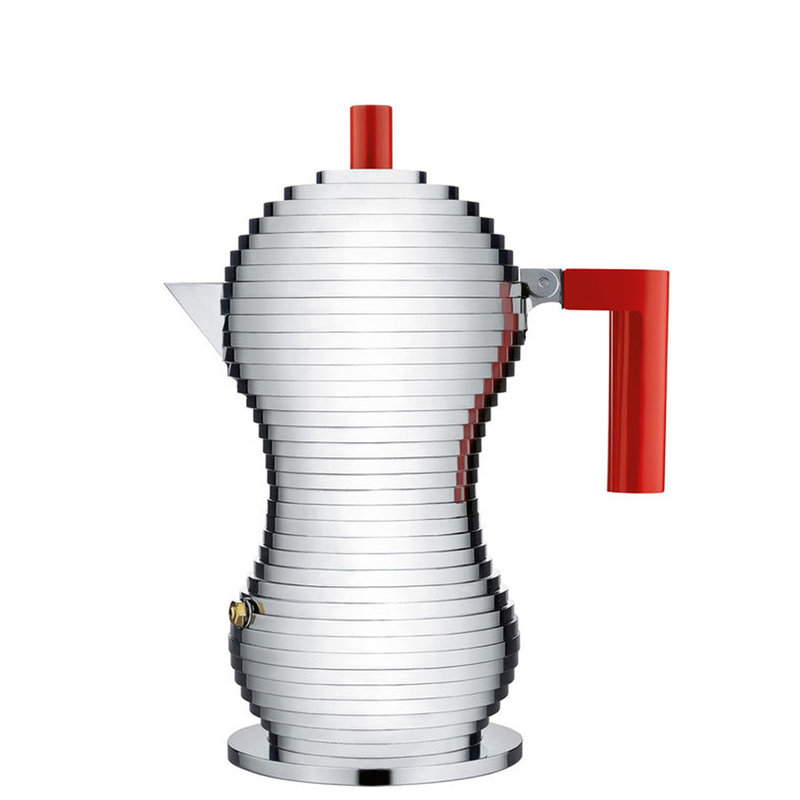 Since 1921, Italian design company Alessi has stood out for the high quality of its products. Almost a century of history and the brand continues to be synonymous with unique household items that balance Alessi’s love for culture, aesthetic and functional quality with modern production methods. The brainchild of architect Michele de Lucchi, the Pulcina Espresso Coffee Maker is designed with coffee lovers in mind. The aim of the coffee maker is quite simple: to make the perfect cup of coffee, so the aluminium cast Pulcina features a specialised internal heater that automatically stops filtering the coffee at the right moment, to ensure that only the finest qualities of the coffee are preserved. This way, you’ll get the most out of every brew. Aluminium casting with a heat-resistant polyamide handle and knob. Automatically stops filtering coffee at the right moment to prevent a burnt and bitter aftertaste. Preserves the finest qualities of the coffee and enhances the full-bodied rounded aromas. Rounded, bulbous silhouette with a beak-like pouring spout.